Though amazed at what chiropractic could do, Dr. Dave went on to join the military. There, too, he injured himself picking up rounds of large explosives. Low back pain led him, once again, to seeing the same rounds of specialists without any relief. He knew the chiropractor would be the solution and needed just two adjustments to feel restored to health. That second positive experience helped cement Dr. Dave’s passion for chiropractic. 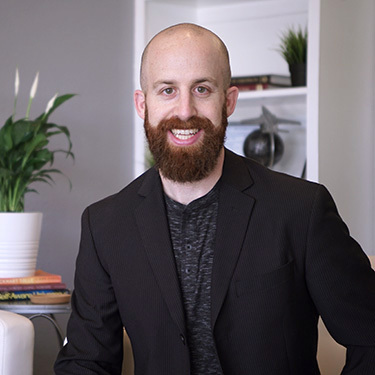 After having completed his undergraduate education at the University of Wisconsin, he attended Palmer College of Chiropractic West in San Jose, California to earn a Doctor of Chiropractic. Dr. Dave’s one-of-a-kind Unbreakable Body Program started forming its roots while he was in chiropractic college. While doing CrossFit, he hurt his low back, and none of the techniques or modalities he was aware of were working to help him. He created a program that allowed him to regain his health by taking control of his recovery and uses it today for practice members at Unbreakable Body Lab. When he’s not in the office, Dr. Dave is an active person who likes to hike, take his dog on walks in the woods, go to the lake and take day trips to Hill Country. He enjoys going to area attractions like Barton Springs, Zilker Park and the Green Belt. Exploring and adventure are two of his passions, and he loves to take his wife on dates to sample new cuisines or try out unusual activities like ax throwing.